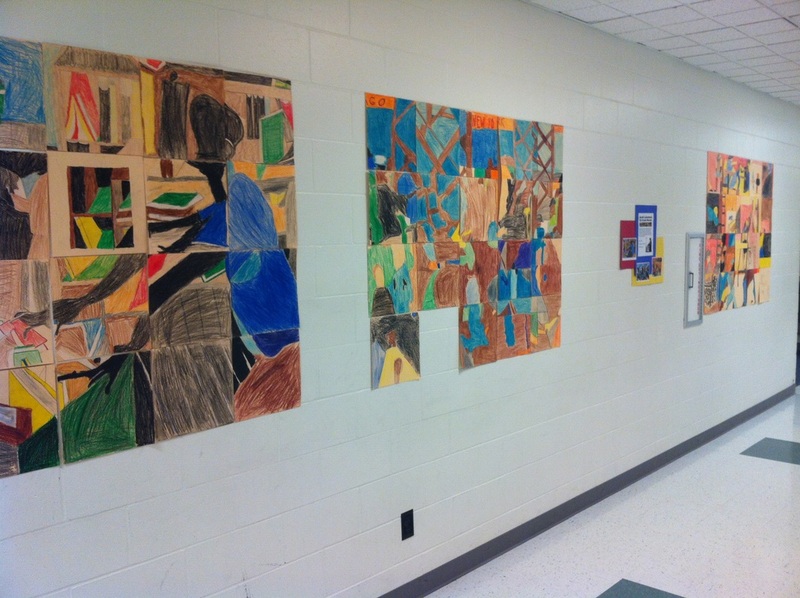 Sixth grade students were introduced to the artist Jacob Lawrence. 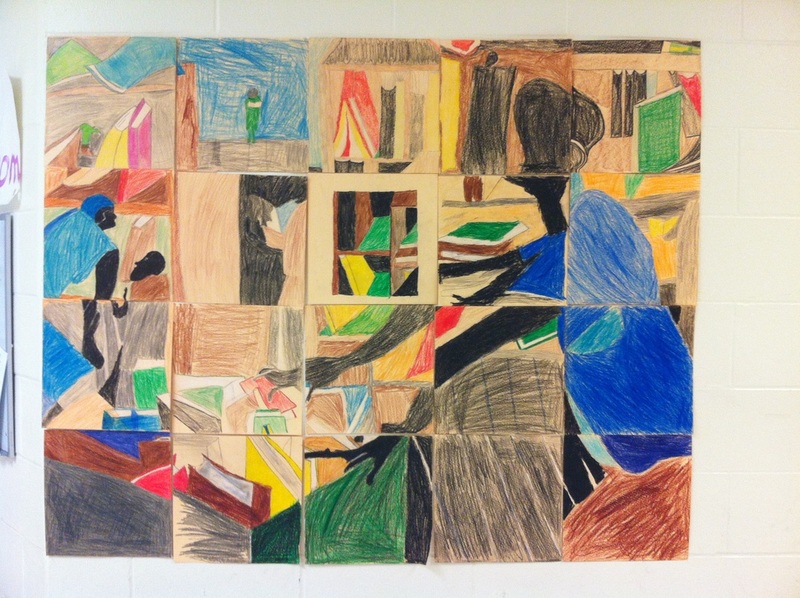 While exploring his paintings and illustrations, students discovered how the Harlem community greatly influenced the artist. 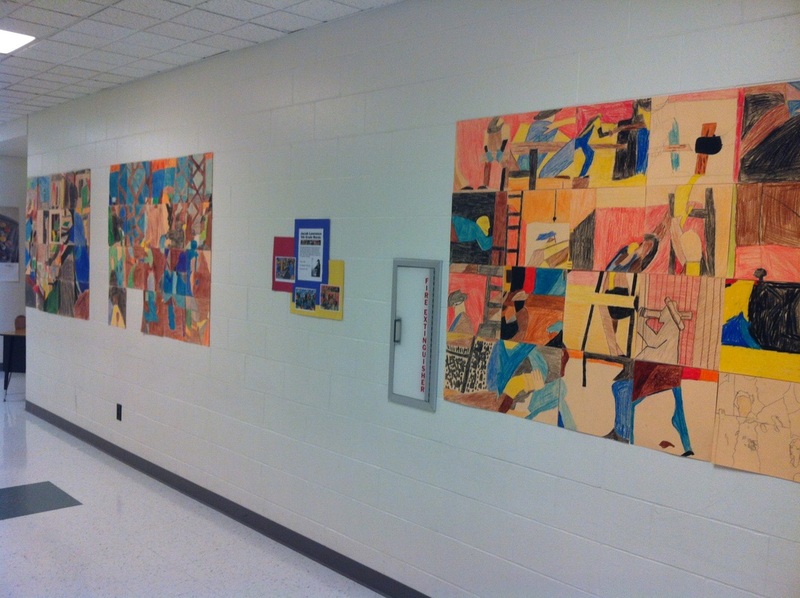 Students collaborated to recreate Lawrence's paintings, Library (1966), The Migration (1940-1941) and The Builders (1947) as large murals for their school hallway. 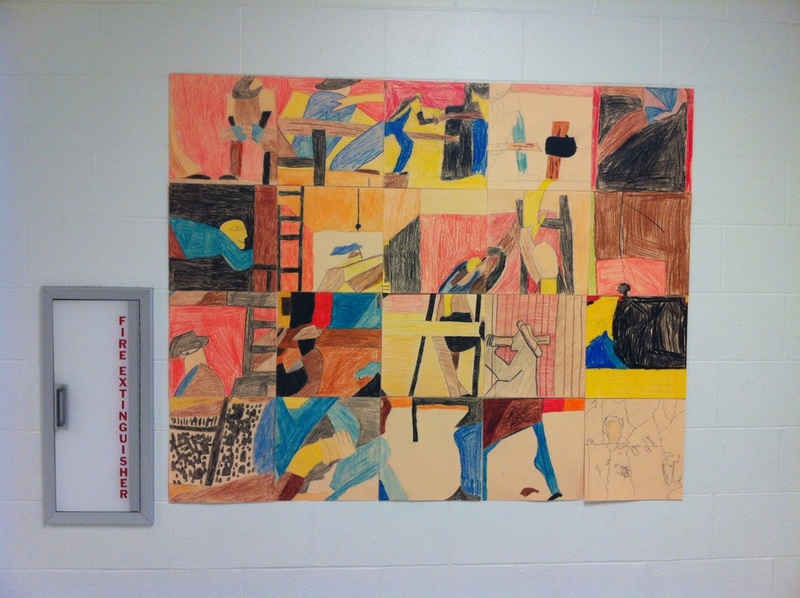 Each student contributed an eleven inch square to the mural using crayons on tag-board.